Lumia 950 and its bigger brother, Lumia 950 XL are different devices due to several reasons. First of all, they are the child product of two separate companies. Well, technically Microsoft is the company which released Lumia 950, but the majority of people who worked on its development are people who came over to Microsoft from Nokia’s Research & Development division after the merger of Nokia. They pack some impressive camera technology, Microsoft’s smart voice assistant, Cortana, Windows Hello – a futuristic iris scanner as a way to unlock your phone, as well as one unique feature called Continuum which enables you to expand your Lumia onto a larger screen for a PC-like experience. Lumia 950 and 950 XL are very similar devices, with a few notable differences; Lumia 950 XL has a larger screen, bigger battery, and a faster processor. In practice, these differences are minor, with the exception of screen size, which is larger in the Lumia XL by 0.5-inch. The cameras and everything else is the same, apart from a few more minor differences we will address later. Lumia 950 has a 5.2″ 1440p (QHD) Gorilla glass screen, a Snapdragon 808 hexacore processor and a 20MP f/1.9 camera with PureView technology. The Lumia 950 XL has the same camera but features a bigger, 5.7″ screen, faster Snapdragon 810 CPU and larger battery. These specifications are more or less on par with what other smartphone manufacturers delivered at the time, with a notable exception – the camera. Both 950 and 950XL feature cameras with PureView technology. This camera technology was developed by Nokia a few earlier and received much praise with the release of Nokia 808 PureView and later with Lumia 1020. These were both one-of-a-kind camera phones which delivered unparallel image quality (for a smartphone) back in the day, and arguably still do today. Nokia has been long known for its excellent camera technology, and this is one the main reasons to explain all the fan excitement for the new Lumia flagships. Lumia 950 comes in two colors – white and black. This is a more conservative approach compared to previous generation Lumias which features a range of different colors for each model. Nothing wrong with black and white, though. Looking at either Lumia 950 or 950 XL, without digging beneath the surface, it would be hard to tell these devices are the company’s flagships. They don’t particularly stand out aesthetically, as they feature a pretty basic design. Microsoft decided to invest more into features than it did into looks. That is not to say there is anything wrong with Lumia 950’s design – it’s simple and effective. On the front of the 950, there is a Gorilla Glass 3 display with ClearBlack technology, while the 950 XL features a Gorilla Glass 4 ClearBlack display. Above the screen you’ll find Microsoft’s logo in the middle, a front-facing 5MP camera, call speaker and the new iris scanner for Windows Hello. Below the screen there is nothing – Microsoft decided to ditch both hardware and capacitive buttons and instead opted for on-screen software buttons. The rear of the phone hosts the PureView camera, triple-LED flash, and the loudspeaker. There is also the NFC sensor on the lower back side. On the right side, there is a volume rocker, a power button, and a dedicated camera button. The dedicated camera button comes well appreciated as it emphasizes company’s focus on the camera. The left side is completely clear, without any controls or buttons. For those who would like a more polished, premium feel to their Lumia 950, Microsoft has partnered with Mozo to offer official premium back covers. These are made either from the real ether or leather imitation, come in various colors and textures, and feature a fine metal finish on bezels. Have a look at the photo below to check out a Mozo back cover on our Lumia 950. The software on the Lumia 950 is neither iOS or Android; it is Windows. Yes, the same Windows you have been using on your computer for years. Well, the mobile version of it anyway. Windows 10 Mobile is part of Microsoft’s Universal Windows Platform (UWP) strategy. The idea behind this is to have the same operating system and the same apps across all types of devices – desktop, laptop, tablet, smartphone, Xbox, VR, wearable, etc. This enables developers easier development of apps for several different types of devices. For users, this means consistency across the platform, having the same app experience regardless of device. Windows 10 Mobile is, in essence, the same OS like Windows 10 on PCs, but it looks and sometimes behaves differently on the surface – they are still working on bringing the outer shell of the OS to look and feel more alike on mobile and desktop. Now that we’ve covered the background story let’s see what you can expect with Windows 10 Mobile on your Lumia 950. Unlike Android, it has no traditional home screen with different widgets and icons. Instead, you get a slick Start screen filled with Live Tiles. These are meant to give you a quick glance of things such as app notifications, calendar events or social events, current weather, music that is currently playing and other stuff – you get the idea. Each tile is also a shortcut to its parent App. You can pin almost anything to your Start screen. Apps, bookmarks, settings, people, events, you name it. Almost all tiles are dynamic and provide some, but too much information for you to glance upon during the day. The Start screen scrolls vertically, instead of horizontally like on Android or iOS. The overall feel and look are very fluid, slick and modern. All tiles can be arranged in three different sizes. The larger the tile, the more information it contains. We find the start screen is very intuitive and customizable. The action center is where all the action happens. You access it by swiping the screen downwards from the top. It consists of buttons for quick settings and App notifications. The quick action buttons are similar to those in Android – you have quick access to things such as Wi-Fi, Bluetooth, screen brightness and other settings. These buttons are customizable; you can choose which buttons you want there in what order. Just below the quick actions, you will find your notifications. These include notifications from the OS itself, such as when a phone update is available, but also E-mail and event notifications and third-party App notifications. A neat feature is that with some Apps you can interact with the notification in a dynamic way. If you get an SMS there is no need to click it to go into the SMS App – you can expand the notifications and view the whole message and you can quick-reply to it within the Action Center. For E-mails, you can delete them or flag them on the spot. You get the gist. By swiping to the right from the Start screen, you will see the App drawer. This is a vertical list of all your apps, arranged alphabetically. This is a pretty straightforward and minimalistic view, simply click on any App you want to access. You can also tap and hold on a specific App to open up a context menu for deleting or reviewing an app. There is also a search bar on top for searching your apps by name in case you have too many apps to scroll through. It is time to address the infamous Windows 10 Mobile App gap situation. You have no doubt heard, many times, which the Windows Mobile platform lacks Apps. Sadly, this is very true. However, it is not really bad as it sounds. The truth is, there are hundreds of thousands of Apps in the Windows Store, many of which are quality Apps with useful features. It would be more correct to say the Windows Store lacks many official Apps and while that is true, in many cases there are viable third-party alternatives that work just as well, and sometimes even better than their counterparts on Android and iOS. First, let’s have a look at the most essential and most popular Apps on any platform, and see how their availability fares on the Windows 10 Mobile. Social Apps like Facebook, Messenger, Instagram, WhatsApp are all available and officially supported by their developers. One exception is Snapchat, which is not and will likely never be available for Windows Mobile. If you are a dedicated Snapchat user, you will miss out on a Windows Phone. Youtube, along with other Google Apps, is a story for itself. To keep it short let’s just say Google’s stand towards Windows 10 Mobile is defined by company’s politics towards Microsoft in general. There are no official Google Apps on Windows 10 Mobile. However, there are many third-party alternatives to fill in the gap. For example, for YouTube, you can find numerous high quality, full-featured third-party clients such as MyTube, MetroTube, TubeCast, and so on. These are all highly rated Apps which provide all the functionality you can find in an official Youtube client, along with some extra goodies. First off, there are no Youtube ads, which is great. You can download (preload) Youtube videos and watch them offline. You can also play music from Youtube even while multitasking or when the phone’s screen is turned off. There are tons of great official Microsoft Apps such as Word, Excel, OneNote, Mail, Outlook Calendar, and Maps. All of these are great, modern apps which will get the job done. Maps are free and offer offline voice-guided navigation. To conclude, Windows 10 Mobile is an intuitive, modern-looking OS. While at first it was buggy and lacked certain features, by now Microsoft has addressed the majority of user concerns with updates. However, it took Microsoft a while to bring W10 Mobile to an acceptable state, and in the meantime, they have lost the ecosystem battle against Android and iOS. If you do choose to try it, keep in mind that due to lack of official support from developers, it will lack certain Apps that you take for granted on other platforms. Lumia 950’s camera features a 1/2.4″ Back-Side Illuminated (BSI) 20 MP sensor, with a wide F/1.9 aperture and ZEISS optics, Optical Image Stabilization (OIS) and Triple-LED RGB flash. All of this is topped with PureView technology. Video can be recorded in either 4K at 30fps, 1080p (Full HD) at 60fps, as well as other resolutions. Audio is captured by four different microphones for best stereo quality. So, what is PureView? The technology refers to several different technologies applied to smartphone cameras. 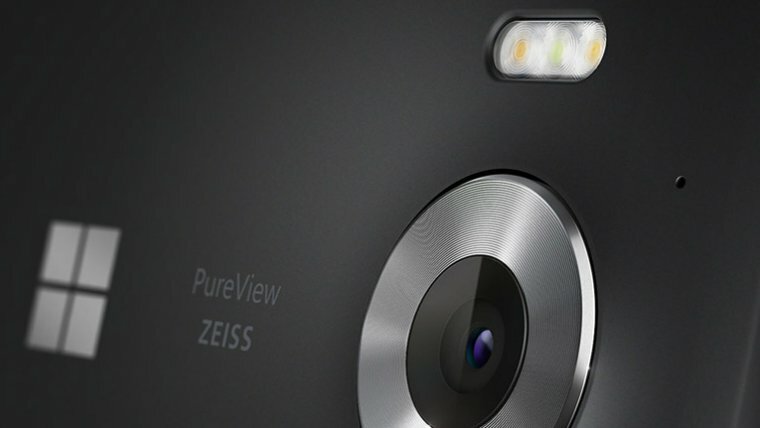 The Nokia 808 PureView featured a 41MP sensor. The massive amount of extra pixels were oversampled (Nokia’s version of downsampling) into super clear 5MP and 8MP images. Along with lossless zoom, this was called PureView technology. After that came Lumia 925, the first smartphone camera to offer optical image stabilization (OIS). This allowed for great low light photography using slower shutter speeds and steady, stabilized video. OIS made another part of PureView technology. In 2013. Nokia released Lumia 1020. The first-ever Windows Phone with a PureView camera. It featured a 41 MP camera, similar downsampling technology to that of the 808 and optical image stabilization, all in one. Lumia 950 features the same PureView technology, with the difference of there being only 20 MP instead of 41 MP. This means both the oversampling and lossless zoom technology is still there but in a smaller degree. Due to a smaller sensor compared to Lumia 1020, it is better they reduced the resolution from 41 MP to 20 MP. This is, after all, a flagship phone, and not a camera phone, which usually has a large camera bump on the back. Microsoft wanted a smartphone with a capable camera but also sleek looks. Lumia 950 is a compromise in that sense and a good one at that. Another thing enthusiast photographers will appreciate the ability to record stills in DNG RAW format. You can choose to capture only RAW or only JPG, but the best approach we recommend would be a combination of both 8MP JPG and 19MP RAW. Unless you disable this feature, JPGs will get automatically uploaded to your OneDrive account when you are connected to Wi-Fi. This was all your photos are backup without you having to worry about it. 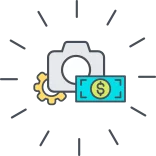 The Photos App is connected to your OneDrive account, which means it too will automatically detect any photos you have a store online and list them in the picture gallery in a seamless way. And if for example you run Windows 10 on your PC and are logged in the with same Microsoft account you use on your Lumia, the same Photos App on your desktop will show the same photos. This level of integration is present thanks to the Universal Windows Platform we talked about earlier. Image quality delivered by Lumia 950’s camera are of superb quality for a smartphone camera. While the camera performance and focusing speed is not among the fastest, thankfully we have this amazing image quality to make it all worth it. We have found the stills from Lumia 950 show exceptional level of detail and sharpness. At the same time, noise is kept at the very minimum – surprisingly little noise for a sensor of this size. Color reproduction, white balance, contrast and dynamic range are all one of the best we’ve ever seen. Another area deserving praise is the excellent new image processing algorithms introduced by Microsoft. They do a good job of producing a pleasant composition without aggressive noise reduction which might degrade the quality of fine details. Thanks to optical image stabilization allowing for lower than usual shutter speeds, this shooter will do a great job at night photography too, especially when it comes to landscapes and street photography. Another awesome feature is HDR (previously known as Rich Capture) which takes several stills at the same time, with different exposures, finally compiling a single photo with high dynamic range. However, HDR has been in smartphone cameras for a long time, so Microsoft went a step further to rival competitor cameras. You can now use HDR along with Flash, to get the perfect portrait photo in low light. What is going on here is that the camera takes two photos, one HDR and another normal photo with Flash turned on. It then allows you to manually choose the level of Flash and the level of HDR effect you want in your final photo. The result is a portrait photo with a well lit, sharp subject, and at the same time very well lit background with natural colors. We have never seen more natural and pleasing nighttime portraits. The battery Lumia 950 has 3000mAh, while Lumia 950 XL has a bit more, 3340mAh. Given the larger screen and a faster processor in the XL, battery life comes down to a roughly the same level for both models. During moderate usage, you can expect to get a full day of operation before it dies off. It handles videos and web browsing well, but the standby battery drain is higher than expected. Overall, out tests show average battery endurance compared to other smartphones. It is important to note however that the battery on Lumia 950 is removable, meaning you can always get an extra battery pack if you need it for longer trips off the power grid. Microsoft often promotes it’s Windows smart devices as perfect tools for any business. That’s why they’ve put much effort into developing brand new Office apps for the Universal Windows Platform (UWP), and that’s why Windows Mobile users enjoy the same level of functionality in their Office apps like that of Office users on PC. The same is the situation with all new Windows 10 core apps – Photos, Mail, Groove Music, and so on. This is where Continuum comes into play. Continuum is Microsoft’s signature feature. A feature which allows Windows 10 Mobile devices to expand into a PC-like experience when connected to a TV screen. You may ask how is this possible. Well, there is some interesting software and hardware at work to make this possible. First, there is the Continuum dock (or Desk Dock when it comes to HP Elite x3). The setup works by connecting your Lumia to the Dock and connecting the dock to the external monitor. The dock also hosts ports for external keyboard and mouse, or you can just connect via wireless (Bluetooth) keyboard and mouse. The next thing you know, you have Windows 10 running on two independent screens. What’s more, you can still use your phone as you would normally. Note that even though the interface on TV looks like full Windows 10, it has its limitations. Right now, multitasking is not possible; apps run only in full screen – windowed mode is not supported. The desktop is also limited, as you can’t place traditional icons, you are left only with the Start screen. Also, you will not be able to run traditional Windows programs (Win32 apps), only compatible UWP apps. Independent Monitor Idle – Phone’s screen can now go off while you work on TV, and vice versa. As Continuum gets updated in the future, it will blur the line between PCs and Mobile even more. It is an exciting prospect to be able to use your pocket smartphone as a PC. Right now, we are not quite there yet – you can’t do complex tasks because the apps aren’t there and because the mobile hardware is yet to reach the performance of PC hardware. But it can certainly be a useful addition to your smartphone, and in some cases replace your laptop. Tasks like writing E-mail, Office documents, surfing the web and watching movies work just fine. Some vendors sell the Continuum Dock together with the Lumia 950, but the dock is also available for purchase separately. Cortana is Microsoft’s answer to Apple’s Siri and Google’s Google Now. The name itself comes from the famous Cortana, the AI in Microsoft’s video game series Halo. Cortana is your virtual voice assistant, and it can do almost anything for you. It learns your habits, likes and dislikes, your persons, events, and places of interest, your favorite apps and integrates everything together in one place. Voice-recognition is surprisingly accurate. The depth of interaction it provides is quite impressive. You can call her up by saying “Hey Cortana!” Or simply by tapping on the Search icon on your Lumia 950. Once she’s up and listening to you, you can tell her to do things which make your life easier. Sure, most VA’s can set up appointments in the calendar, but Cortana can do this better. Your appointments and reminders can be about a location, a person and time. For example, you can tell her “Remind me to pick up flowers when I get to [Supermarket]”. Or, “Remind me to congratulate my girlfriend on her graduation, next time she calls.” She can also integrate with Microsoft’s free voice-guided navigation. You can say “Take me home.”, Provided she has learned where you live; she will automatically provide driving directions to your home. Cortana can also tell jokes, sing, check facts, take care of your travel plans including flight status, look up nearby restaurants and many, many other things. As far as connectivity goes you get the full package – Lumia 950 supports GSM/HSPA/LTE (4G), dual-band WiFi and Wi-Fi Hotspot capability, Bluetooth v4.1, NFC and the new USB Type-C (rapid charging, a connector that works on both sides). USB in mass storage mode is also supported. The Lumia 950 and it’s bigger brother, the 950 XL, may not be the most flashy smartphones out there, and it’s more than likely they will not support some of your favorite apps (at least not the same way like Android or iOS) but nonetheless they are very capable and attractive devices. Windows 10 Mobile has its share of problems, the majority of which isn’t due to the OS itself but rather due to lack of developer support. But its Windows 10, on Mobile! The interface is extremely intuitive and modern. We love how we can overview our entire day at a glance on the beautiful Start screen. Microsoft’s ecosystem, with their native Apps, is quite brilliant. The new Office Apps like Word and Excel allow you to have the full power of their PC counterparts at your fingertips, for free! Any document you create, the photo you capture, note you save, an appointment you make is seamlessly and instantly shared and integrated across all your Windows 10 devices.